Since the European KZ1, KZ2 and KF2 Championships at Wackersdorf, all the major events of the CIK-FIA enjoy a television recording carried out by the CMC (Constanduros Motorsport Consultancy) company. The channel Motor TV – available in over 40 countries – was immediately very interested by this form of sport, and it broadcasts the report of every event with many replays, commented either in English or in French according to the country concerned, which guarantees huge spin-offs for international Karting! Organised in Asia, the last two big events of the season (the World KF1 Championship will be held in Macau from 18 to 21 October, and the final of the U18 World Championship will be held in Bahrain from 8 to 10 November) could interest Asian channels. And there is more! 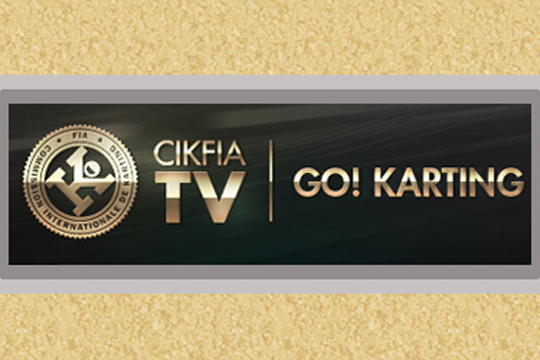 The pictures produced at every event can be supplied free of charge to any TV channel which asks the CIK-FIA. Channels can use either the full report or some excerpts, as have already done Rai Italy, Speed or Skysport UK, which broadcast the highlights in their sporting news. National Sporting Authorities wishing to push forward the performances of their young Drivers can also receive pictures so as subsequently to distribute them to the main media of their own country. In short, this is far from the end of Karting reports on television, and all the fans are delighted about it!